** PRICE REDUCED AND MANY UPDATES HAVE BEEN DONE IN LATE DECEMBER. Updates include brand new stainless steel appliances. All wall paper removed, fresh paint, and new carpet in remaining rooms. 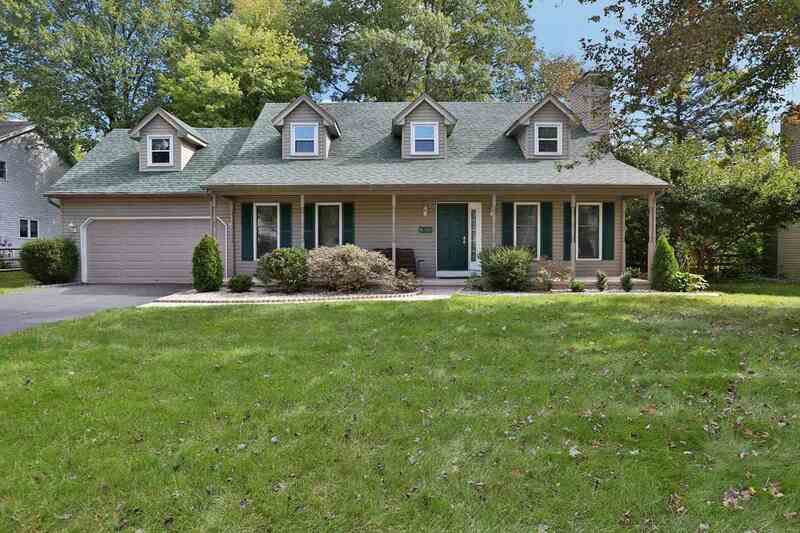 ** Spacious Cape Cod Style home featuring 4 large bedrooms and 2.5 bathrooms, wood burning fire place and shaded, fenced in private back yard with shed and fire pit. The home had a new roof in 2018, and new carpet thru out. 1st floor master bedroom with large master bathroom, 1st floor laundry, and a large eat in kitchen with pantry that opens up to the dining room for large family gatherings. A 1/2 bath is conveniently located on the main floor off the laundry room. You won&apos;t be disappointed with the storage in this home. There is an unfinished bonus room 19 x 10 waiting for your personal touch and an additional 2nd floor attic storage 15 x 8 along with many closets. The basement is bright and clean with painted floors and partitioned rooms for all your hobbies and entertainment.